I wasn’t sure if this character was real or made up. After I talked to my friend, she told me that her niece had not only invented this character, but what it stood for. I’ve never met this little girl, but she brought a huge smile to my face and melted my heart. 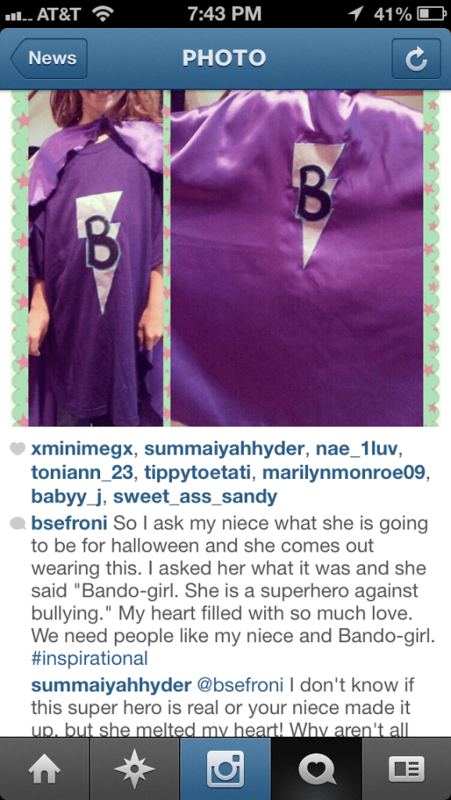 I don’t know whether to be touched that a girl so young has such a huge heart and wants to fight bullying and bullies. Or to be saddened that a girl so young has already realized how much evil there is in the world. The optimist in me sides with the first one. That this amazing young girl wants to do her part and make the world a better place. In this day and age, there aren’t even many adults who have her kindred spirit. So when I see something like this: a child standing up for what is right, it makes me wish we lived in a naive and angelic bubble free of evil. Who am I kidding, right? But don’t the children of this day and age deserve that much and more? All I know is, we need more people like this girl in this world who stand up for what is right. Don’t you just love it when you are just working with a few basic ingredients, and the next thing you know, you’ve made something that turns out delicious? 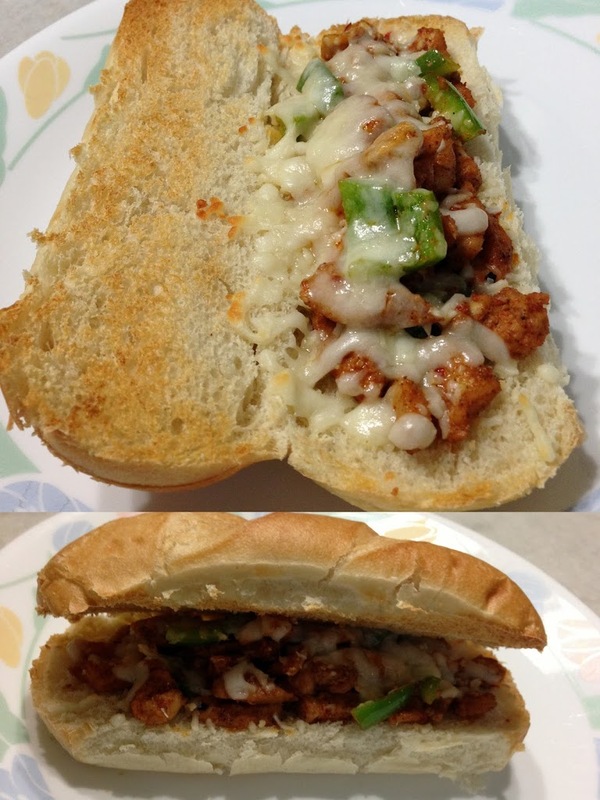 I had chicken to work with and I needed to use up these rolls that I use to make different kinds of sandwiches a lot. I cut the chicken into bite size pieces, threw in random spices and turned the pan on. Next thing I know, it smelled like the chicken from Chicken Cheesesteaks. For the chicken, I cut boneless and skinless chicken breast fillets into very tiny, bite size pieces. I marinated it with: salt, black pepper [a lot of it], garlic, red pepper flakes, chili powder, cayenne pepper [a lot of it], and oil. I, then, cooked the chicken in a pan on low to medium heat. Meanwhile, cut strips of peppers. Add them to your pan with the chicken once it is completely cooked through, turning your heat to extremely low heat, and mix the peppers and chicken together. You could add onions, mushrooms, and whatever else you like on your cheesesteak… these are the ingredients my family likes.